The European Parliament constituencies of Dublin and Ireland South look set to gain an extra seat, following the publication of a new report. The recommendations from the 'European Parliament Constituency Committee' will now be drafted into legislation by Minister for Housing, Planning and Local Government Eoghan Murphy. Under the plan, Dublin will gain a seat, increasing the number of MEPs from three to four. Ireland South will also gain a seat, increasing the number of MEPs from four to five. Ireland South will also be expanded to include counties Offaly and Laois. Ireland Midlands-North-West will retain the same number of seats, four, but will be reduced in size. 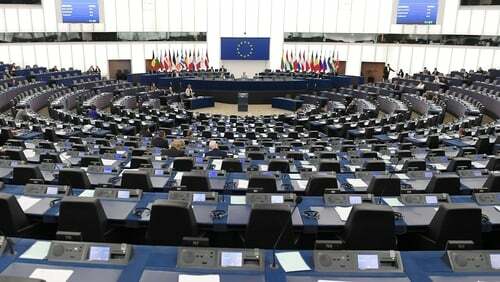 Due to the UK's departure from the EU next March, Ireland is to gain an additional two seats in Parliament - increasing the number of MEPs from 11 to 13. The Committee, which was established in July, was headed by Mr Justice Robert Haughton. Sinn Féin had called on the Committee to consider enabling people in Northern Ireland to be represented in the European Parliament post-Brexit via the two additional seats - however the Committee did not back the plan. Fine Gael leader in the European Parliament, Sean Kelly, welcomed the announcement of the expansion of his Ireland South constituency. In a statement he said: "This is good news for the citizens of the South constituency who will gain an extra Member of the European Parliament to represent them." The move was also backed by his constituency team-mate Deirdre Clune. The Fine Gael MEP said: "I look forward to visiting Laois and Offaly over the coming months to meet the communities there and hear how we can work together." Midlands-North-West MEP Marian Harkin said she would have preferred if the Committee had recommended the creation of four constituencies rather than continuing with three. She said the best option would have been to create three constituencies with three MEPs, and one with four. Ms Harkin said reducing the size of the constituencies would have made it easier for the representatives to connect Brussels with the voters - something which was needed now, more than ever. Vice-President of the European Parliament Mairead McGuinness has welcomed the announcement, saying in a statement: "It is positive that there will be two extra Irish voices in the European Parliament. The Fine Gael Midwest-North-West MEP said: "The additional two [Irish] members would take up their seats when and only when the UK's withdrawal becomes legally effective. "The Committee was of the view that it was not within its terms of reference to recommend how the Oireachtas might legislate to comply with this provision. "As there is huge uncertainty around the Brexit negotiations, every eventuality must be catered for and I urge the Oireachtas to consider this issue." Sinn Féin has described the Constituency Commission's report as "a missed opportunity" and called on Taoiseach Leo Varadkar to intervene. Sinn Féin MEP Martina Anderson said allocating Ireland's two additional MEPs to the North would have ensured that people in the North would "not be disenfranchised as a result of Brexit". Ms Anderson said there was political support for such a move.